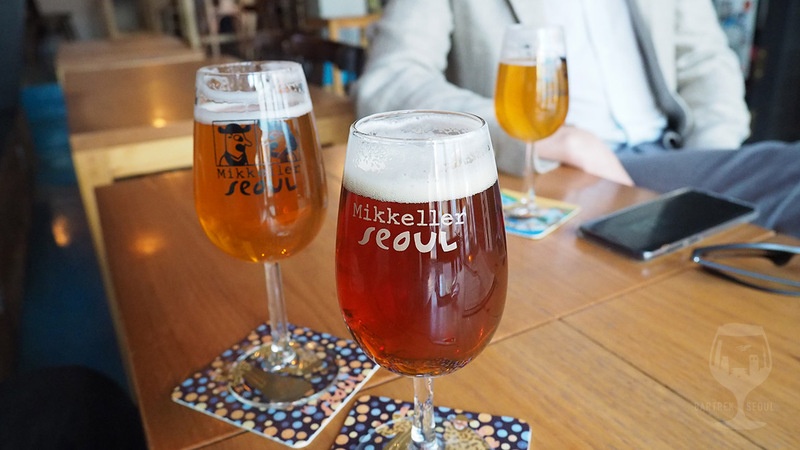 Mikkeller, the Danish craft beer pioneer, has a strong presence in Korea, most notably their collaboration with The Booth and the wildly popular and available Taedonggang Pale Ale, but at their own cozy venue in Garosugil they sport one of Seoul’s largest selections of specials and sours. 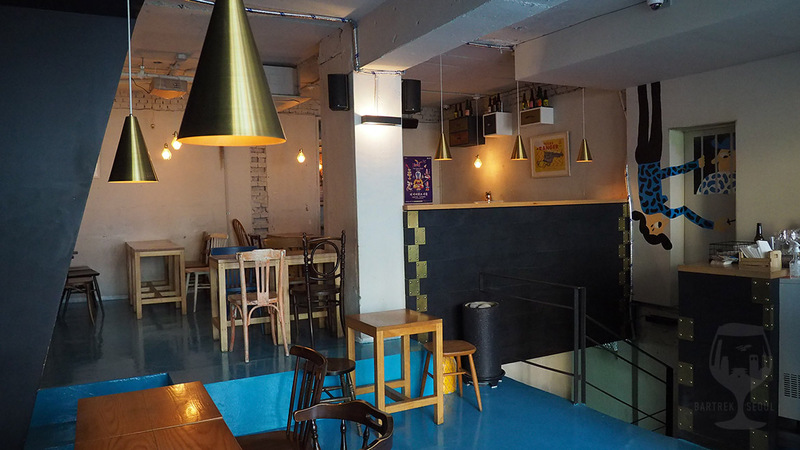 Beers from The Booth and Mikkeller, but also from breweries like De Molen and 8 Wired, all add up to a long and varied menu with many great choices. 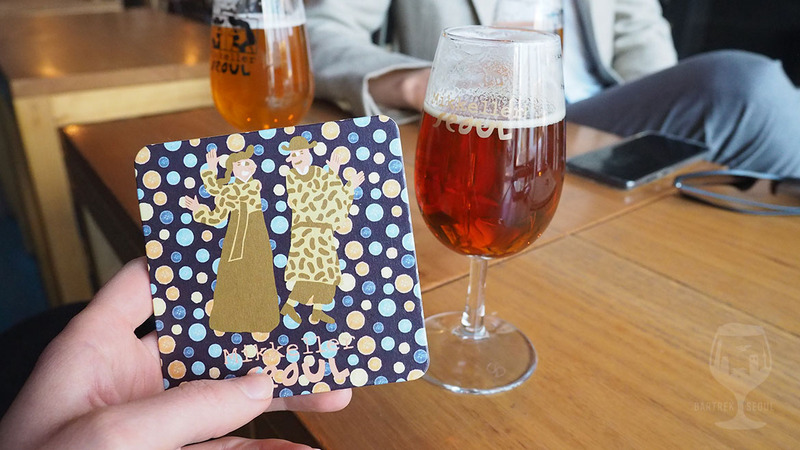 The Mikkeller bar with some of their signature illustrations. Big windows, great for day drinking. 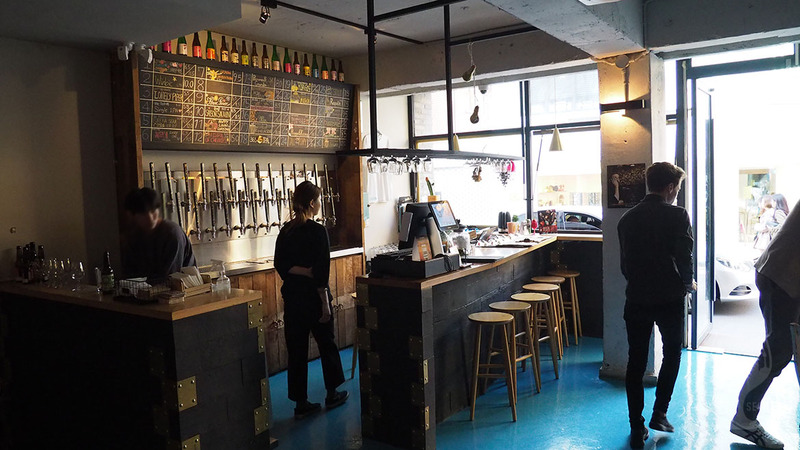 Here you get exactly what you would expect, a ton of Mikkeller beer and a varied selection of Korean and imported beers ranging from sharp and sour to dark and sweet. 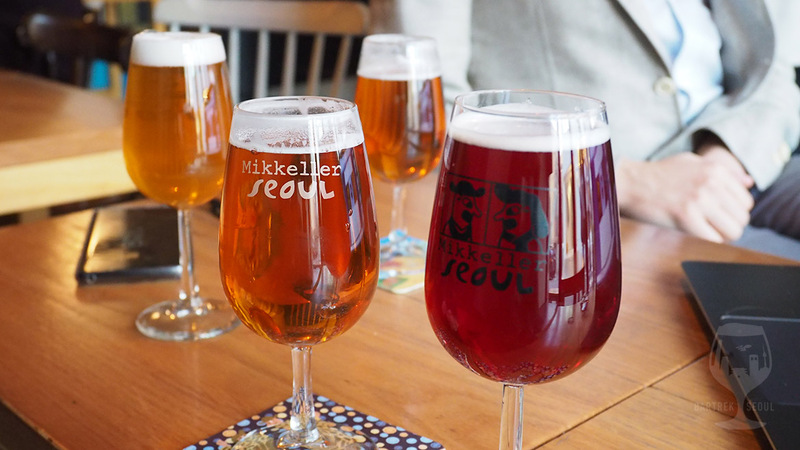 Most beers can come in petite servings, preferable when you want to go through a lot of different beers in one sitting, especially with intense and sour flavors. The venue is cozy and the seats by the large windows are great in the afternoon. 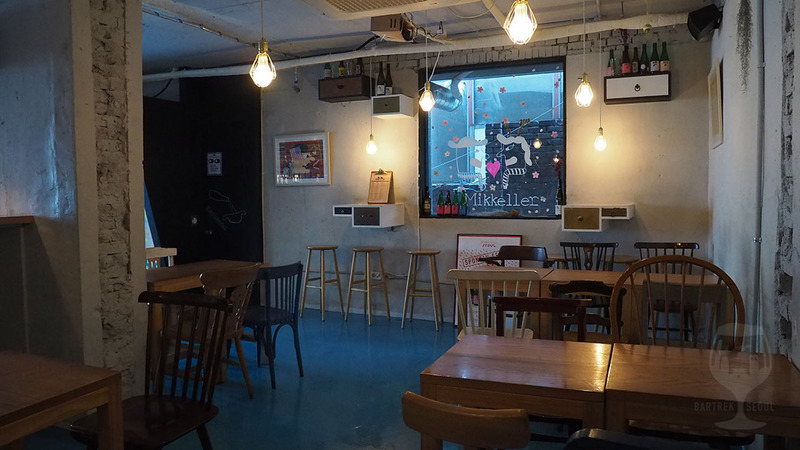 There is also a food menu and plenty of seating for large and small groups, so in the weekends it can get pretty lively in here. 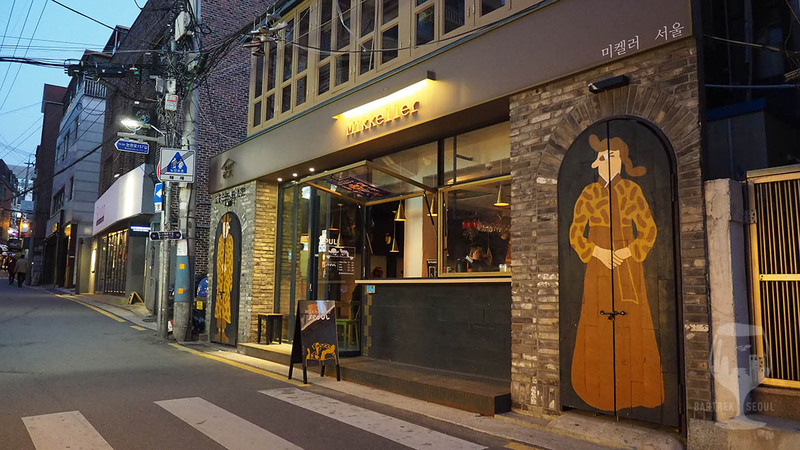 The varied and ever-changing tap list attracts beer geeks of all sorts from around Korea and many travelers also find their way here. 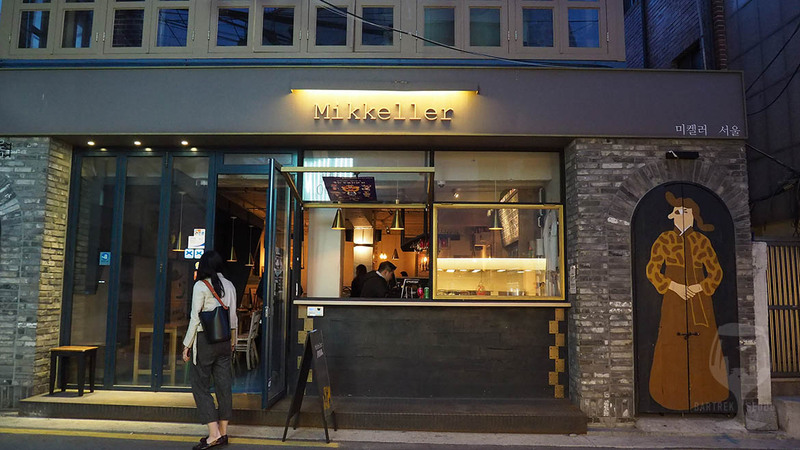 The location near Garosugil makes the Mikkeller bar an easy daytime pitstop during shopping in Gangnam and a solid nighttime choice amongst the many clubs and bars in the area. Making it hard to choose! 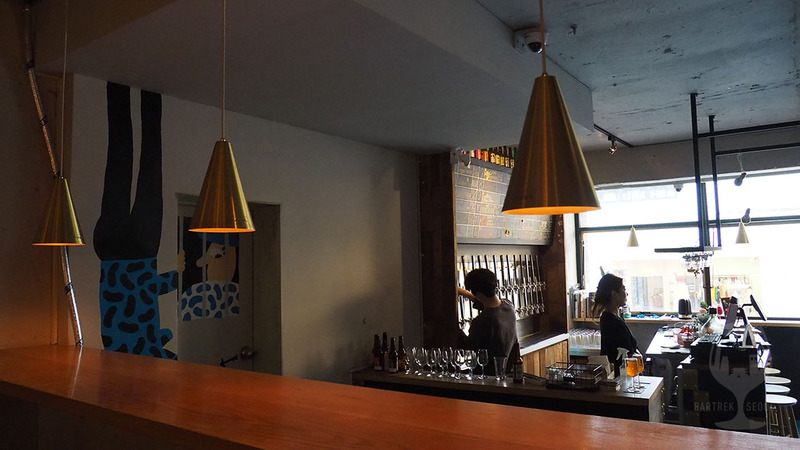 30 beers on tap and a set option. 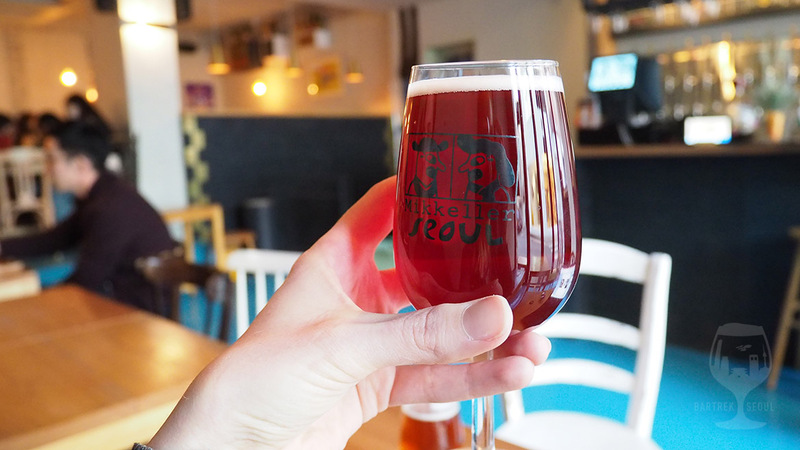 Mikkeller is famous for their wide variety of innovative beers, and you’ll find plenty of wilds, lambics, saisons and barley wines with fruity, sour and hoppy flavors appraised worldwide. 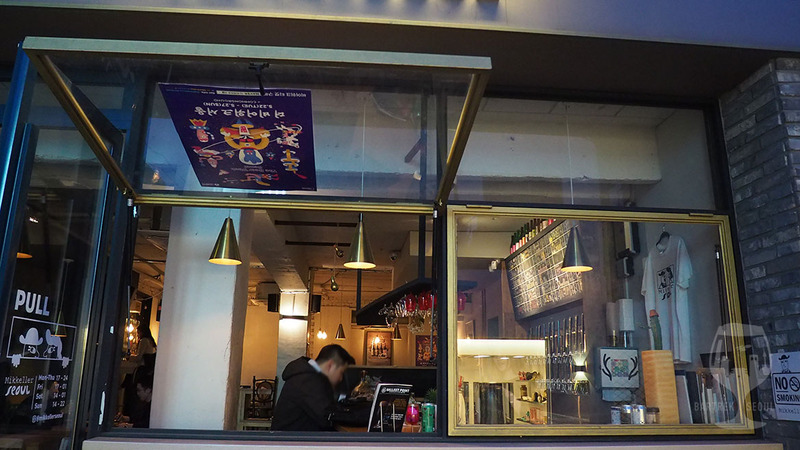 There are also more common styles like IPAs, stouts and pilsners, so the menu is suitable for large groups with varying, or simply wide, preferences. 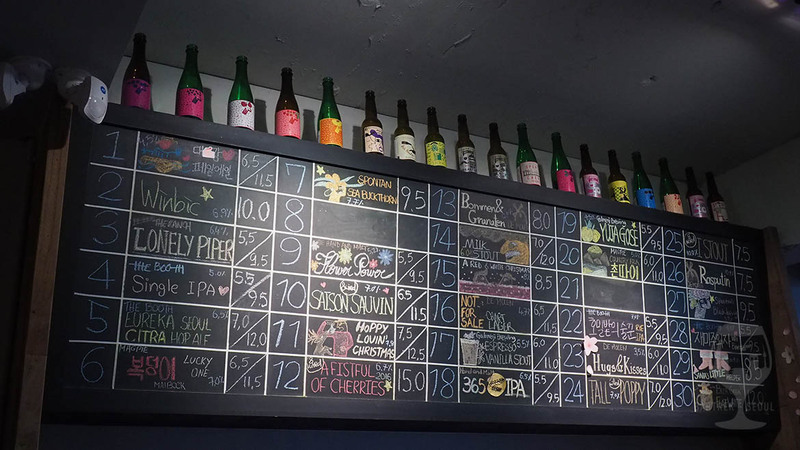 At Mikkeller the best beer is the next beer! 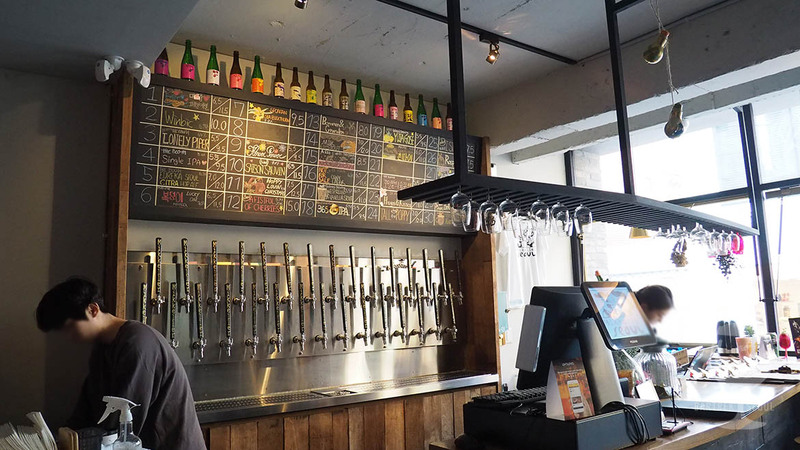 There are not really any bad choices on the tap list, which is why we like to go here, and the staff will gladly help you choose. All the beers have a number in the menu, and we picked out five of them during our visit: 2, 11, 15, 23 and 27, two of which were Christmas beers! The Hoppy Lovin Christmas IPA was maybe my favorite of the five, with Winbic Sour Wild Ale on a close second. Small servings make it easy to work through the menu. 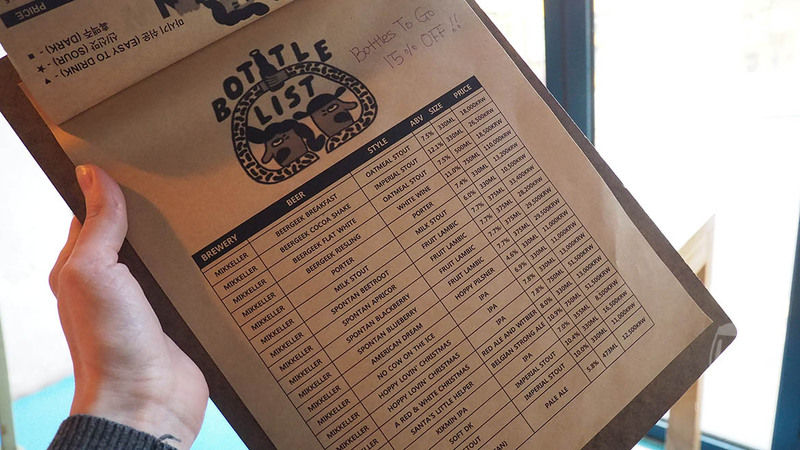 Bottle list with a take-out discount! 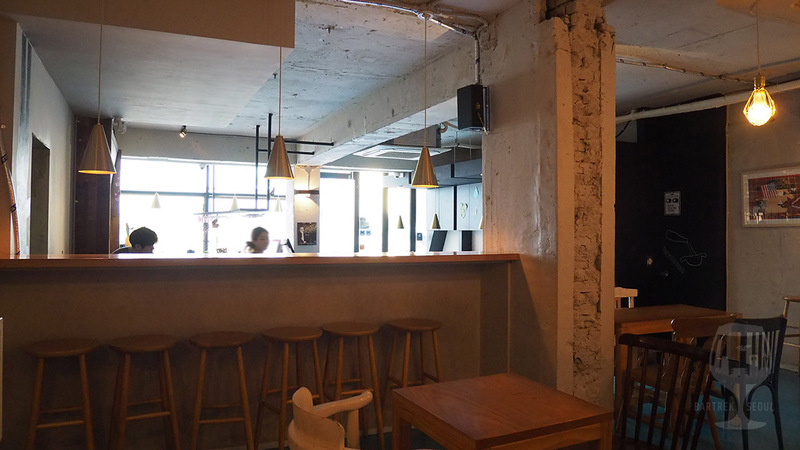 A small and cozy venue, fills up well on the weekends. 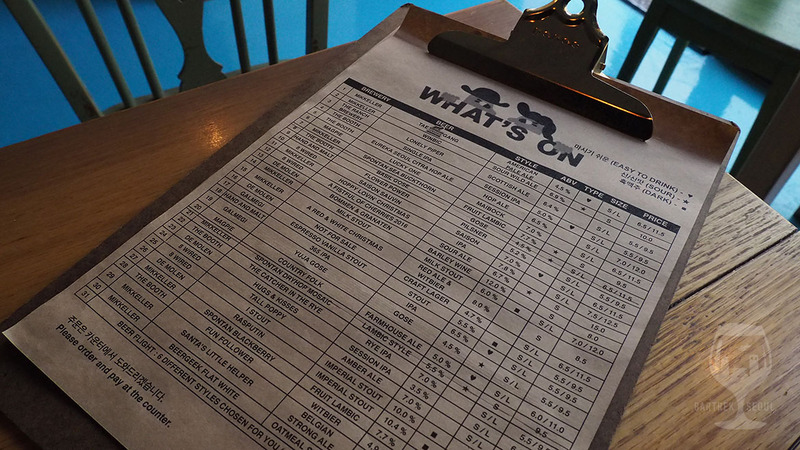 Classic blackboard tap list and slim tap handles to fit them all. Plenty of seating options for large and small groups.